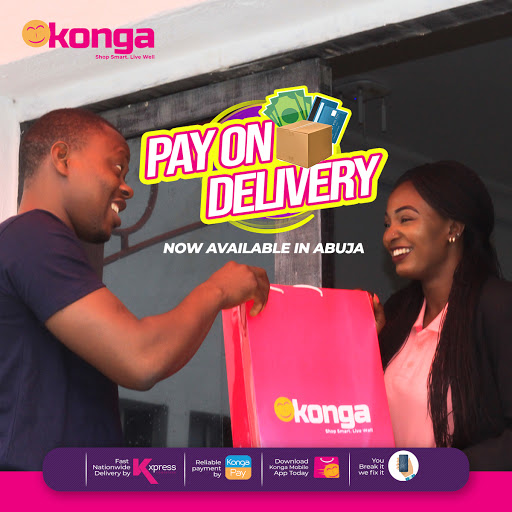 Konga, Nigeria’s leading e-commerce giant, has extended its Payment On Delivery (POD) option to its teeming customers in Abuja, the nation’s capital effective Monday, February 4th 2019, reports ITREALMS. “Through Kxpress, our logistics arm in which we have invested substantially with the acquisition of new line-haul trucks, delivery vans and motor bikes, Konga possesses the capacity to not only meet the commitments of POD in Lagos and Abuja, but also achieve the extension of the service to other states across the country. We also have a target to ensure the achievement of 100 per cent same day delivery of major product categories/orders across the country before the end of 2019,” he disclosed. “This ambition is already taking shape with the acquisition and set-up of mega warehousing facilities with cutting-edge technologies across major parts of the country.